Its almost time for teacher appreciation week. 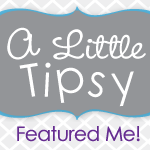 Do you have some fun goodies for your kiddo's teachers? 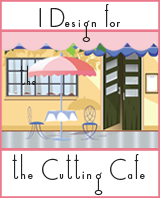 I have some sweet cards and bookmarks in my Etsy shop if you need them! 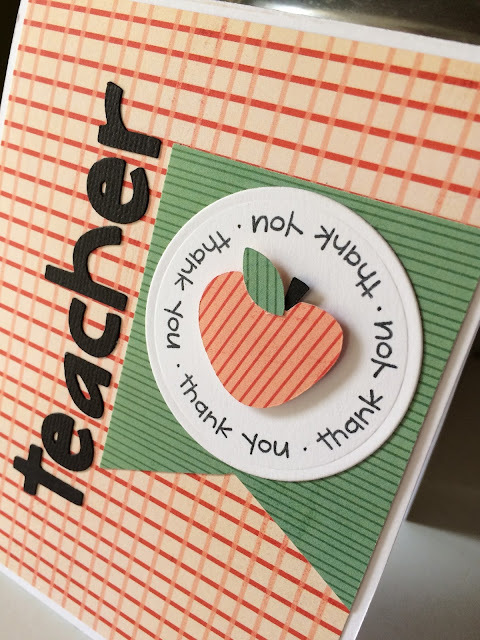 Who doesn't love an apple for a teacher card? I found the idea for this little card while searching Pinterest. I had to create my own. See the original card HERE. Thank you Debby! 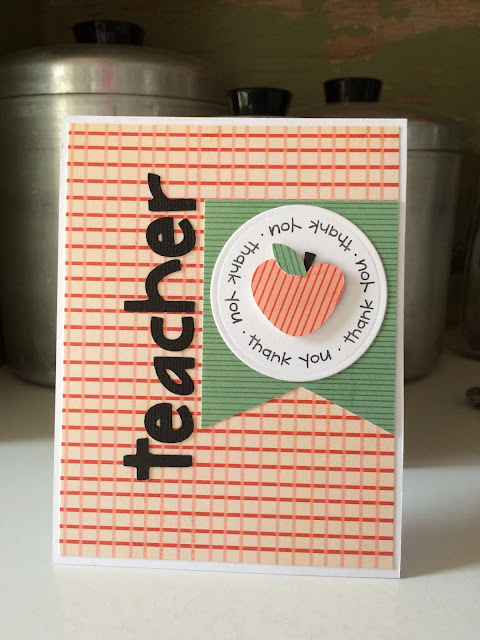 I used my Cricut Expression machine to cut out the word teacher using Locker Talk and also for the apple. The circle is cut using my Nesties and then I used my sweet friend Regina's stamp set called From Owl of Us to stamp the thank yous all the way around the circle. The stamps are clear acrylic so I just bent the stamp to stamp in a circle. Loves it! 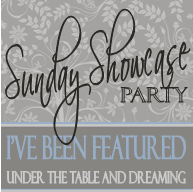 Go look at all the lovely stamps Regina has HERE! This cute little card is available in my Etsy store along with lots more if you're looking for handmade cards for family or friends.....or teachers! 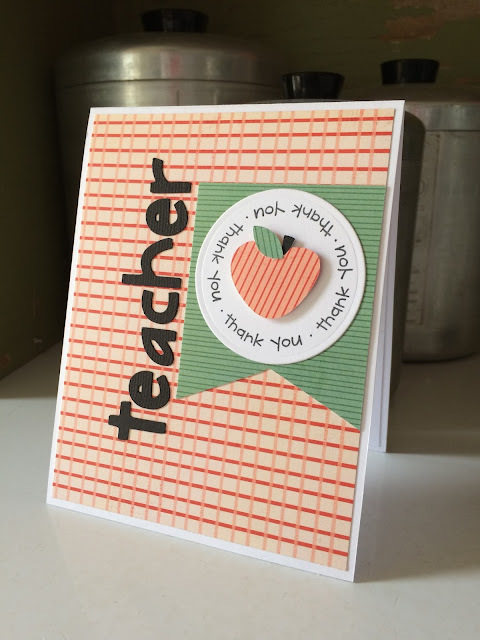 This card is a standard sized card measuring 5 1/2 x 4 1/4.